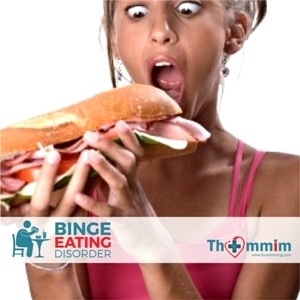 Binge Eating Disorder (BED) is characterized by insatiable food cravings that can occur at any time of the day or night. With the association of BED and obesity, this disorder has become a major public health issue that presents both medical and psychiatric issues that impair patients’ quality of life. While the prevalence of this disorder is increasing, awareness is lacking. BED is now included in the newly revised Diagnostic and Statistical Manual of Mental Disorders 5 (DSM-5). Including the disorder as a separate entity will provide the opportunity for increased awareness and understanding of its severity and will help practitioners better identify and manage it. Based on the recent DSM-5 changes, it is likely that the number of patients diagnosed with BED will substantially increase. This CME activity will take a closer look at the prevalence, screening, and treatment options for BED to improve awareness and treatment of this condition. One gets answers correctly but are adjudged wrong. I learnt alot as usual thanks thummim. Many thanks Lawrence, for the feedback. We do appreciate it. May I kindly request that you please help spread the word about ThummimNG.com? The Courses and associated quizzes are best taken on desktop PCs. We are busy optimising for mobile, so I’d suggest you kindly take courses and quizzes on your PC. We have isolated and fixed the bug causing this. if you download the certificate again, you will see it has all the names you have included on your profile. Glad to hear and know BED now as a clearly diagnosable eating disorder (no longer under a bogous list of unspecified). also informed to know it as the most prevalent eating disorder. its common in Africa. Would like to see our prevalent values also. and see its predictability for the paediatric population- if it can be used here (I mean the diagnostic criteria). Kindly try the course from a laptop or desktop Pc and let me know of the issue persists. Hello – which of the courses is giving you issues?